Filming of Season 8 of Homeland will begin in January, later than previous seasons, due to Claire Danes’ pregnancy, but it isn’t clear if it will be the final season. Danes said in a podcast producers shot many scenes of Carrie in captivity in the Russian prison that never made it to air in the Season 7 finale. “It was more powerful to discover her (predicament) in real time with Saul. And for us to imagine what she went through rather than have that be articulated,” she said. Although the material was not used, it was not a wasted effort. “We didn’t use a lot of that work, but it was not for naught; it informed that (final) moment. I don’t know if I would have been able to arrive at that as thoroughly and fully as I did without all of that extra work,” she said. Noting that her son has reached kindergarten age, she also said it may factor into how future production is affected. When Brody was executed the continuation of Homeland was put into question, with the departure of Damian Lewis most viewers thought it was all a trick and he would return (which he did but only in a guest appearance). 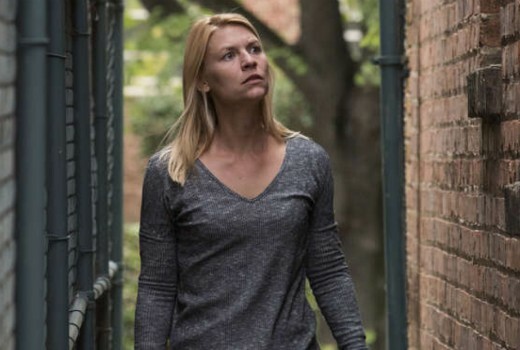 Can Homeland survive without Clare Danes, yes, probably, but it could prove difficult because Carrie has dominated everything without any new characters being introduced into the show that could potentially replace her, Peter Quinn (Rupert Friend) was likely the only one to continue on after Carrie in the main role. Bringing in a totally new actor will be risky especially with a long running show, I suspect that without Clair Danes the shows re-imaging will not last long.